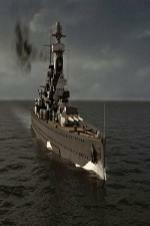 Buy or Rent National Geographic Hitler's Lost Battleship (2011) Movie DVD & BluRay Online! Movie Plot: Hitler’s Lost Battleship retraces the events leading up to the ship’s destruction. With high-end re-enactments, CGI reconstructions, and surprising revelations from naval researchers – all add up to shed new light on this fascinating episode in wartime history.